Policy Links, the Centre for Science, Technology & Innovation Policy and the Centre for Technology Management ran a three day training workshop in Pretoria, South Africa. 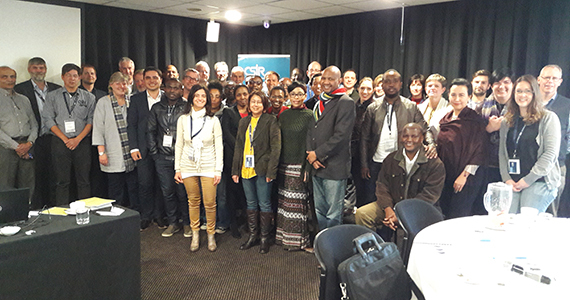 The workshop was hosted by South Africa’s Council for Scientific and Industrial Research, and brought together representatives of Research and Technology Organisations (RTOs) from across the world. Eoin O’Sullivan (CSTI), Rob Phaal (CTM) and Michele Palladino (Policy Links) ran the training workshop, which was attended by participants from The Commonwealth Scientific and Industrial Research Organisation in Australia, The National Research Council, Canada, the Danish Technological Institute, the Fraunhofer in Germany, as well as South Africa. Entitled “Introduction to technology & innovation management, strategy and policy”, the workshop was aimed at providing key concepts about innovation management, discussing international experiences in manufacturing policy, and sharing experiences with colleagues with a common interest in RTOs.